Identification: The forewing of Tarache knowltoni is heavily suffused with gray-brown. The male forewing usually has a darker streak from the inner third of the costa to an indentation of the postmedial line about midway down the postmedial line. The upper half of the basal and median areas are dark gray brown, while the lower half is dull white speckled with gray. There is an oval gray spot at the lower base of the wing. The orbicular is a small, dark dot and the reniform is weak and obscured by the dark brown postmedial band. A small, linear streak arises from the costa near the apex of the wing. The male hindwing is geographically variable. Specimens from Utah and Colorado have the hindwing above completely suffused with dark brown. In contrast material from Oregon and Washington have a distinctively contrasting white base to the wing. 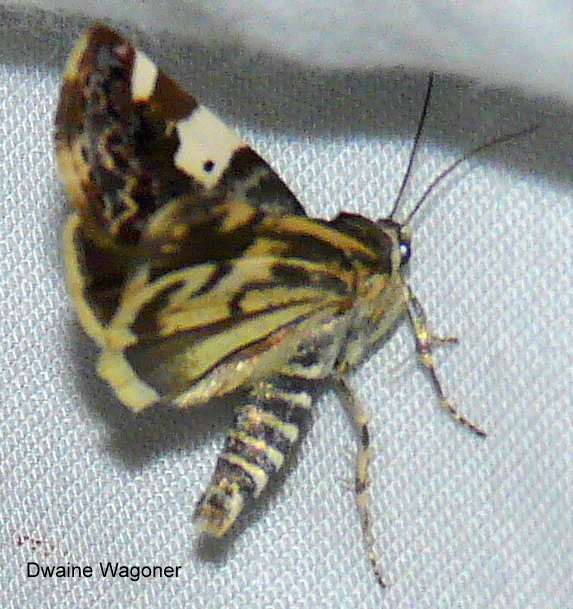 The underside of the hindwing is variegated with white and dark areas. Females are similar to males, but more heavily marked. The hindwing is always completely suffused with dark brown. Flight: Adults have been collected in June, August, and September. Range: This species is known from western Colorado, Utah, Oregon, and Washington State.